What is Green or Waterless Detailing? The wash portion of the detail does not involve high pressure sprayers, hoses or water tanks. Instead synthetic polymers with surfactants are sprayed onto the cars’ surface and are wiped off using high quality microfiber towels. No water? Will the process scratch my car? 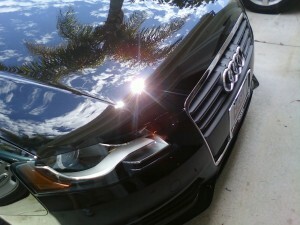 Will a detail using ‘green’ products and methods clean my car as well as a traditional method? Non-toxic, eco-safe chemicals are used in the interior of the vehicle, so you don’t have to breathe any undesirable toxins after the detail is complete. My car is caked in mud and sand – can you handle that without water? Can you get rid of odors? Yes. Odor Causing bacteria are bad for your health and really stink. 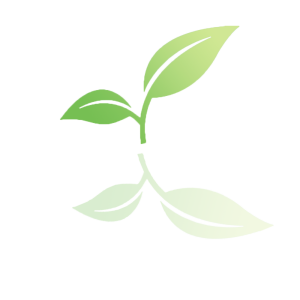 We use a chemical designed to destroy strong odors and smoke odors in seconds while leaving behind the nice fresh smell of Green apple. This non-toxic substance works by attacking the chemical structure of the organic material, destroying the cause of the unpleasant smell. It does not ‘cover’ the smell with perfumes, but eliminates it. I have kids …… not good for the cleanliness of my carpets and upholstery. Can you help? No problem! Having plenty of practice from cleaning stains and messes left by our own kids, we’ve seen the sticky carpets, melted crayons, crushed chips – the list is endless. The only downside is the detail will take a little longer, so will cost a little more. Yes, we can remove some, but not all. If a scratch is too deep, i.e. has gone through all the layers of clearcoat, only a bodyshop can fix it via a repaint. However, if the scratch has not penetrated the clearcoat, we certainly have the equipment and knowledge to do a great job. 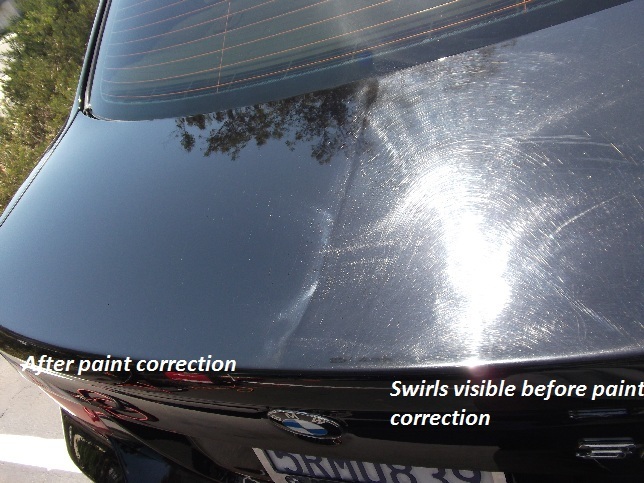 Always be wary of anyone armed with a buffer claiming they can eliminate any scratch – if that is the case, there is a distinct danger your paint will be in a worse condition after the ‘repair’.